Influencer marketing has gotten big in the past few years and some expect it to take a more important role in this Digital Age where everyone has access to everyone. Have you tried out this effective marketing technique to spread awareness of your brand and boost sales? If yes then does it work for you and if no then why not now? Influencer marketing is a technique that makes use of people who have huge impact to people with similar interests, generally called influencers. These people can be celebrities, famous bloggers and other social personalities who have followers and a wide fan-base. In general, influencer marketing is the utilization of influential people who can place an impact to potential customers rather than directly targeting the market as a whole. The use of such in today’s time has indeed a huge impact to businesses as more and more people are getting more “influenced” by such personalities. This is best demonstrated by famous clothing brands using popular and in-demand celebrities as their models to gain more attention on their products, or simply increase the possibility of their fans to patronize the product or service upon knowing their favorite celebrities are doing the same. Influencer marketing can be splitted into Celebrity influencer maketing which makes use of famous people and Social influencer marketing which makes use of normal people who are well-known only in a much smaller circle. However, the use of celebrity influencers is only good for big businesses having huge marketing capitals. As for SMEs, the use of social influencers is a much better option mainly because of its cost-saving capabilities while achieving similar results with the use of celebrity influencers. And just like any other marketing tools, the use of social and celebrity influencers has their own set of advantages and disadvantages. These two have one thing in common, and that is their massive followers. In both cases based on their virtue of being someone who has the authenticity, trust-worthiness and an established eligibility they will try and influence others’ decisions. But when and why should a business involve with such type of marketers? You can make use of social influencers and trust them to help you build relationships. Lets say you are about to open your new café in town and you just happen to know someone who knows one famous blogger around the area that has already built enough followers. This blogger can help you build your café’s relationship to the people neighboring your business without you having that much to do in terms of building relationships to the locals. Of course, the use of social marketers is truly one affordable and practical solution if you just want to focus your marketing efforts in a specific area and audience. Also, about 74% of consumers tend to rely on social media influencers in finalizing purchasing decisions, this makes social influencer marketing truly famous for many SMEs. Another study from 2016 highlighted that about 40% of Twitter users have made a purchase because of a Tweet from their followed influencer. Because social influencers are somewhat focused on a single area, your marketing efforts will also be limited in reach. But it is also important to note that upon knowing where you want your marketing efforts to go, focusing in a single type of market is actually not always a bad thing. On a very obvious note, the rewards of using celebrity influencers will truly not yield the same results while using social influencers in terms of the number of followers. But once you get to know your celebrity influencer’s strong points and if he or she shares some common interest with your business and you want to go all out, then celebrity influencer marketing is one good option. Also, through the use of celebrity influencers your brand’s awareness will increase really fast because of the familiar face and the ability to appeal to a much large demographic audience. Again, on a very obvious note, talent fees and contracts are expensive. Also, the trend in the entertainment industry is never solid. A famous celebrity’s light might die out in time with a single mistake and this can affect your business as well. In a survey over 30% of the participants stated that they are more likely to patronize a product or a service when it is not being endorsed by a celebrity. As for SMEs who have slowly built their brand’s presence, the use of Social Influencer will surely be one economical marketing strategy that will help your business out. The use of Social Influencer Marketing last 2017 was indeed a driving force for businesses who wished to grow their brand’s awareness through the use of social media. They have seen a significant increase in sales and interest so we should not expect Influencer Marketing to die out its flame for it is currently burning hot, for now at the very least. So to help you decide whether the use of Influencer Marketing is a good choice for you and your business, here are current top 5 trends for Influencer Marketing. Let’s admit it, when Influencer Marketing started out many of us didn’t even knew it exists and that some of the old blog posts or social media posts that we have read before are actually already trying to influence us. So how did that happen? Simply because we do not know, and we were not told anything thus showing no transparency at all. Now, disclosing facts about you partnering with a social influencer and vice versa has now become so important to avoid one of the cons about the usage of Social Influencers – an inauthentic relationship. Letting your customers and patrons know about such partnership will make them see you and your business as someone who doesn’t want to hide behind the mask of some influencers while taking their money away. Despite having a partnership with your influencers, you should never tell your influencers to mask out anything. Let them say what they truly feel about your product or service so their followers and your customers will not see you both as a black sheep bleached in white, or simply a fake. Now the real purpose of Influencer Marketing is to give businesses an outlet to let their products and services reach a much broader audience through the use of an authentic persona. You should never disrupt this. Besides, if your chosen influencer doesn’t really like and feel authentic in giving your product or service and try then, they do not have any reason to even start a deal with you. Let authenticity flow smoothly along with your business’ flaws. Now here’s the thing, despite you doing some marketing strategies never allow your business to create ads with the use of Social Influencers. This will disrupt the authentic feels. Create organic content stating everything there needs to be known, including your flaws. Keep your audience entertained with facts and real figures. Tap your social influencers to do it this way. Experienced influencers can even help you to create media contents that promote your products and services while still being honest and giving the audience useful information and facts. With the increasing use of Social Influencer Marketing, there is also an increase in the pool of social influencers available. Many are claiming they are one but do not really have the right approach to do it really well. Others are now even seeing becoming influencers as a real career path. So it is very important to choose the right influencer so that you, your business and the social influencer him/herself can easily stand over the crowd with natural creativity. Do not just stick with what is currently in the wave right now, incorporate it so you won’t get left behind but make sure to add a different flavor on how your social influencer should do his/ her thing. Collaborate with your social influencers and tell them how things should be done without fully imparting everything you want. Collborated ideas will yield far more, better results. While most respondents work across multiple platforms, nearly all respondents (92%) selected Instagram as their #1 platform of focus, followed by Facebook. The majority (56%) of influencers surveyed spend at least four hours per day on social media, and more than 20% spend 7-8 hours or more. Nearly one-third of influencers have grown their audience by 20%-50% in the past year, while one-fourth have grown their audience by 50%-100%, and 17% have more than doubled their audiences. 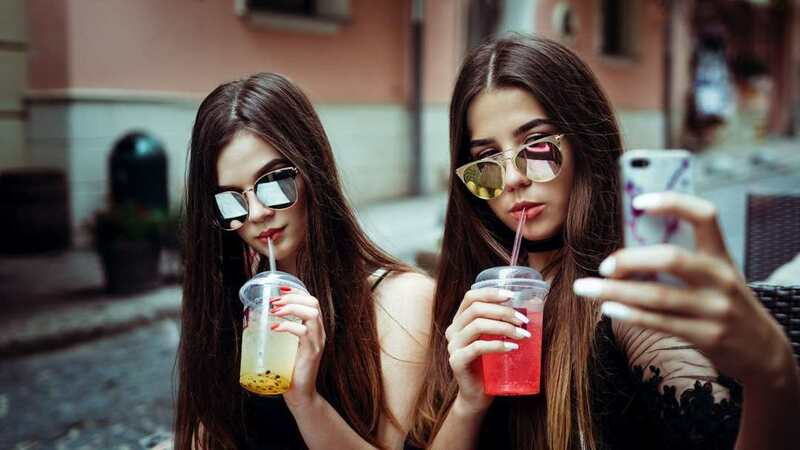 Platform of choice for influencers - Last year, 80% of respondents said Instagram was #1, while this year, a full 92% cite Instagram as their top platform, a 12%-point increase. A similar number of influencers (87%) predict Instagram will remain #1 for them next year. Do leave more room to do some exploring. Do not just limit your search for a social influencer in a single platform. Choosing one who has built enough presence in multiple social networks will also work well. After all, the more followers you could reach out from different platforms, the more chances to get your brand known faster than simply focusing on one right? Now, here is a list of an A-line social media influencers that you might want to consider for your next marketing campaign. We are highlighting their areas of interests and respective industries to make things easier. Hudda Kattan is an influencer in the cosmetics category. She has 27.1 million Instagram followers and 2.4 million subscribers in YouTube. Her activities include dancing once famous hits and taking on trendy challenges. This shows her activeness on her online portals further garnering more followers in the long run. Hudda Kattan’s name became one of the household in Instagram. Kattan is believed to be earning an average of $33,000 per post, making her one of the wealthiest and influential people over the internet. 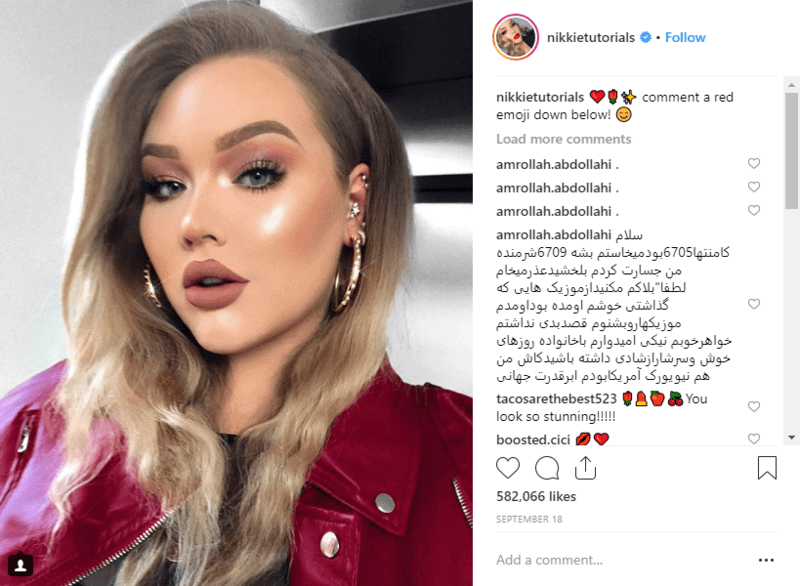 Nikkie de Jager (NikkieTutorials) is a famous Dutch makeup artist and has been sharing various makeup tutorials in her social channels. She landed stardom after releasing her 2015 YouTube video “The Power of Makeup” which went viral and inspired people to upload videos of themselves with and without makeup on. This made her fanbase grow through the years and has reached 11 million in Instagram alone and 10.8 million followers of her YouTube channel at the time this article is written. Felix Kjellberg is PewDiePie’s real name. This Swedish social influencer has over 66 million subscribers in YouTube alone which made him land the 6th in Forbe’s list of “The World’s Highest-Paid YouTube Stars 2017”. If your business is somewhat related to video games, you might want to follow PewDiePie and see if he can be a good fit as your social influencer. The man behind VannosGaming's YouTube channel is Evan Fong. He is a game commentator from Canada and his YouTube channel are filled with humorous, self-edited commentary videos of various games. He enjoys playing with his friends and sharing some funny game moments on his channels. What once considered as a fun outlet started his career in the digital scene as a social media influencer. He has 23.6 million YouTube subscribers and 3 million Twitter followers. He has his own website filled with merchandises and is believed to have about $15.5 million net worth. Lele Pons has 28.2 million followers in Instagram, 1.9 milliong Twitter followers and 11.6 million YouTube subscribers. Her funny videos made her stand out and end up being followed by her supporters. To prove her competence, she has modeled for Dolce & Gabbana. You can try looking her up to see if she can be a great fit for you future marketing endeavors. Similar to Cameron Dallas, King Bach (whose real name is Andrew Bachelor), became popular for using the video sharing application Vine. He is a “Comedic actor-writer-director” who posts parody videos on his social channels, earning the interest of his growing followers. King Bach boasts 16.2 million Instagram followers, 2.65 million Twitter followers and 2 million YouTube subscribers. Whindersson Nunes is another comedic play since 2013. This Brazilian comedian and singer is best known for his music parodies and other comedic acts posted on his channels. His digital channels include YouTube with 31.4 million subscribers, Twitter with 9.3 million followers, 24.2 million Instagram followers, a Facebook page with 5.5 million followers and his very own website. Casey Neistat is a filmmaker, vlogger and a famous social personality giving out various business advices. He has about 10.3 million YouTube subscribers, 1.89 million Twitter followers, 3.2 million followers in Instagram, 930 thousand Facebook subscribers and has his own website as well. Despite seemingly having a small number of social fanbase, Neistate is considerably noted for revolutionizing the ad industry. This made him one of the brand ambassadors for Samsung and has worked for Nike, Google and Mercedez-Benz to name a few. He is also and one of the few influencers of creating a multimillionaire company. Gary Vaynerchuk is an entrepreneur who was famously known for turning his family’s wine business into one big shot. He is a well-known wine critic, author and speaker. He’s been posting videos that inspire people with topics ranging from life, business and technology. 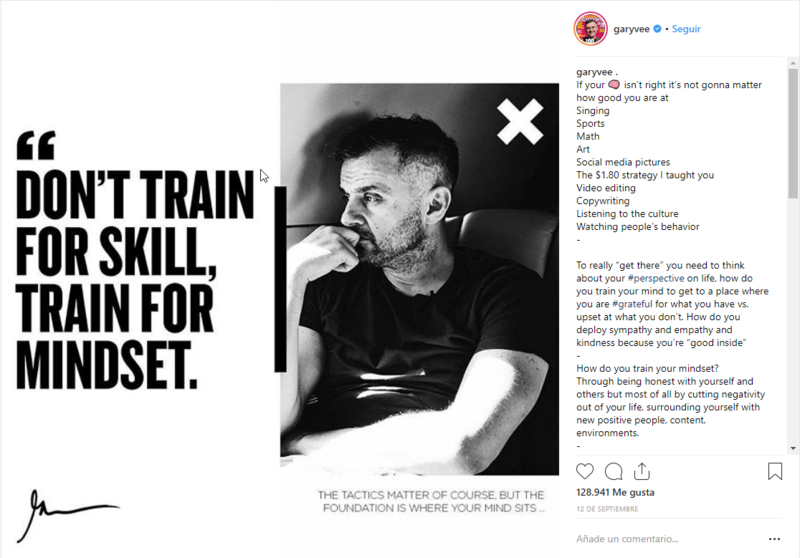 Vaynerchuk is also a businessman and is the chairman of a media and communications holding company and the CEO of VaynerMedia which is an advertising agency that services Fortune 100 clienteles. His online reach includes 1.6 million YouTube subscribers, 1.7 million Twitter followers, 3.1 million Facebook followers and 4.1 million followers in Instagram. Aside from the one stated, there are still a lot of notable social infleuncers. With a large pool of them ranging from extremely famous to starters, you can always find that social influencer who can best represent your businesses. Here’s a tip. Always put the best interest first, and that is connection. Find someone who can connect with your product or service really well, who is honest enough to evaluate them without any bias. That way, you and your social influencer’s relationship will not just be purely business. To get you inspired, here are 5 creative sample campaigns that you can refer to. Now this is one creative campaign for the brand Mercedes-Benz USA. Loki is a hybrid with a wolf descent. Loki and his owner Kelly Lund starred a VR campaign of the said automotive giant. At Instagram, Loki has 1.7 million followers to set the records. 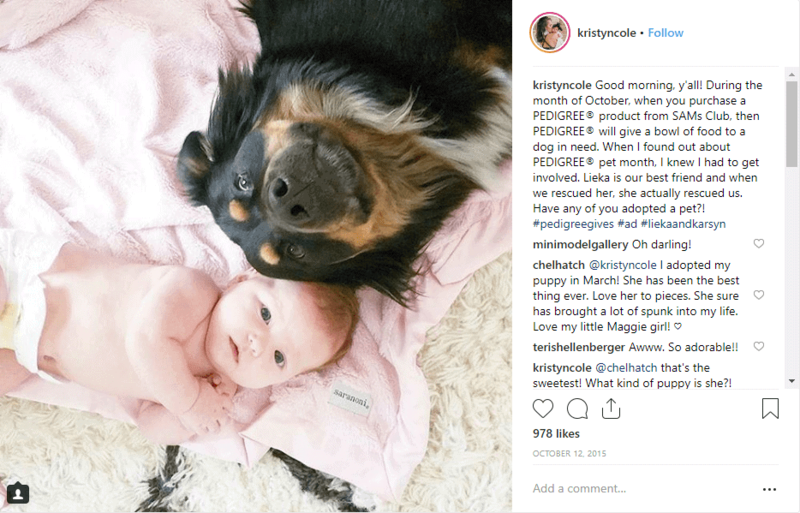 Social Influencer Kristyn Cole shared a picture of her dog and her baby looking at the camera. Others might see this as another baby and dog picture having a really good relationship, but that isn’t the only story behind the said post. Cole highlighted in her post to make sure dog owners feed their dogs with Pedigree and even encourage them to do the same. The content was creatively laid to her audience while using such powerful photo as a medium. Now this is another way to do some influencing in a good way. This YouTube video of Chachi Gonzales dancing found on her channel, with over 1.4 million subscribers, is not just your ordinary video. This is actually Chachi influencing others to drink Jamba juice. The video shows how drinking Jamba Juice can make one simply stand up and dance to the beat. This campaign fully made use of the Chachi’s strength which is dancing. Hosico the cat is one famous cat all over Thailand. For this cat’s cute, furry and bubbly physique, many have become Hosico’s followers in Instagram. Hosico has 970k followers in Instagram. In the said post, Hosico’s owner said how more nutritious it is for cats to eat wet foods in a really hot day. 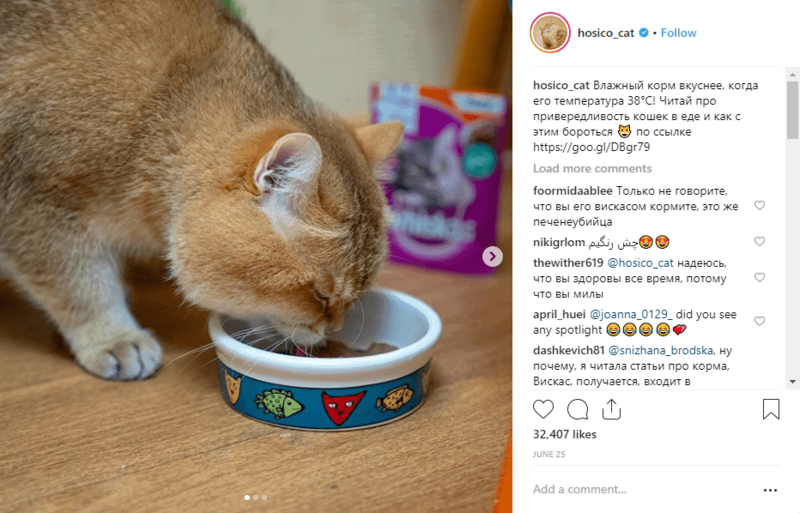 And as seen on the picture above, the famous cat food brand Whiskas, despite being blurred, clearly shows what the overall post implies. This is Klook’s chosen social influencer, Ha-wai Wong. Ha-wai Wong shared her story about how she frequently made use of Klook in booking some of her travel activities. Klook chose this 81 year old influencer for their kimono rental service and highlight Klook at once. What Klook aims to portray is that regardless of age, everyone have the freedom to experience moments exclusively felt when one exposes him or herself in traveling.